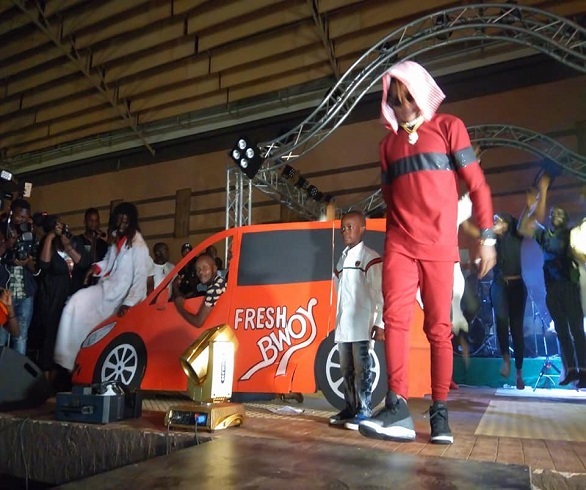 Fik Fameica Registers Success At Kutama Life Concert, Shows Of Mother and Kid Brother! Upcoming singer Walukagga Shafik aka Fik Fameica seems to have acquired enough blessing probably on the news years eve! This follows the series of success filled events that have kept on unveiling for the young artiste who dropped education for music. Among these is all latest songs hitting, getting collabos with Mr.Eazi and Wizkid as well as acquiring new wheels. As though that’s not enough, yesterday, the Kutama hit maker registered great success for his show dubbed Kutama Life. The lengthy lines seen at the Sky beach venue hours already forecast this as a success and it indeed came out to be one as revealed by the all filled seats inside. 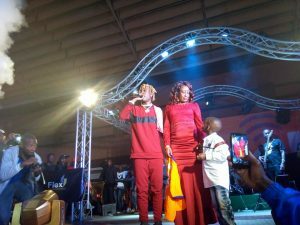 It was at this event that Fik Fameika showed off his mother and little brother as he sung them a song literally for the mother. Fik Shows Off Mother And Kid Brother. Fik came driving to the stage and opened up the event with Mbega Wa Baala getting the crowd extremely excited. 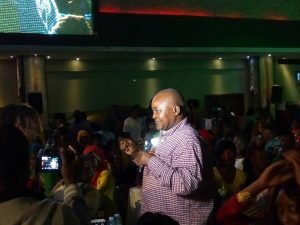 Among the revelers was Ex-Vice president Gilbert Bukenya who bought a CD at 1 Million Uganda Shillings. READ Singer Bobi Wine Hits Vice President Edward Kiwanuka Ssekandi Over Museveni. Previous articleEx-Drug Addict Dave Dash Initiates ‘Ki Ekiriwo’ Project To Create Drug Abuse Awareness. Next articleHow Are Auto Insurance Company Ratings Helpful for Buying Car Insurance?